Not a real challenge to your wonderful one, Goodlife, but mine will definitely taste better, when it is fully ripened! Délice de Burpée are superb to eat completely solid flesh inside, and each one does two meals. I had to pick them all yesterday, as blight is starting to show, finally. Not surprising given the awful wet summer we have had. 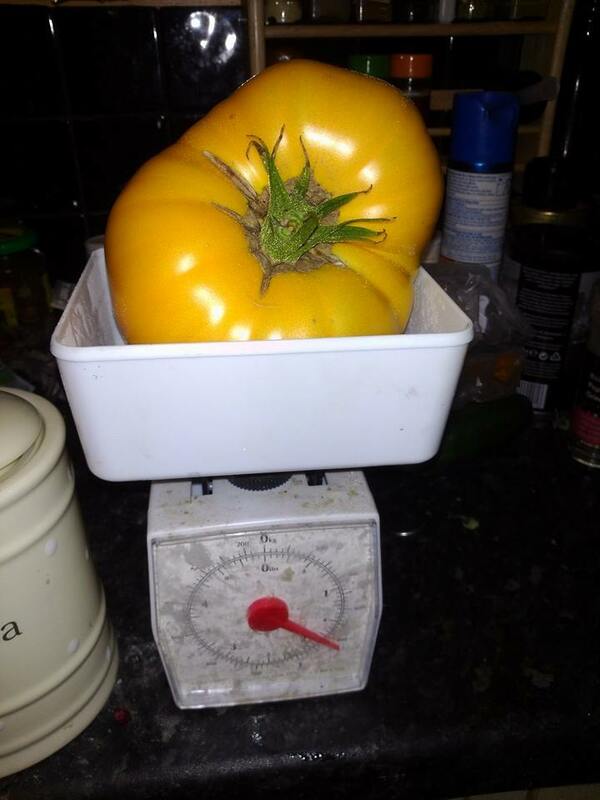 My current best yellow 1lb 12oz..
Next year though. I am going to win! "Carry on therefore with your good work. Do not rest on your spades, except for those brief periods which are every gardeners privilege." 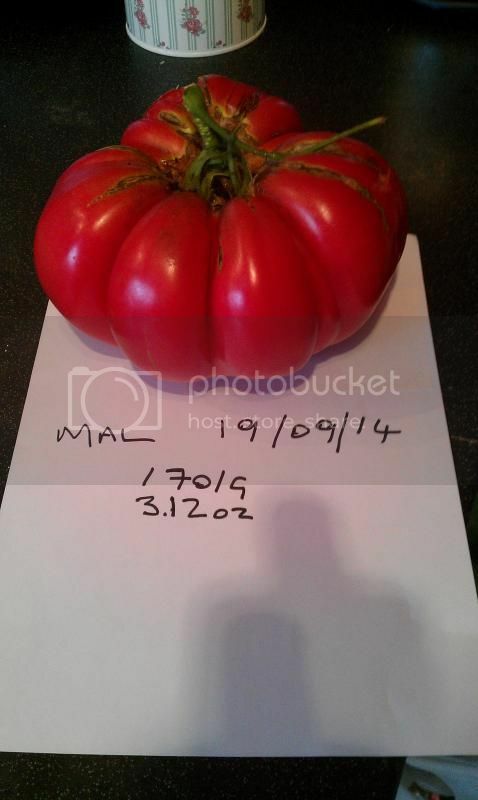 Why have I missed this post and the HUGE tomato slyfox-mal have posted!!!??? What variety is it..do you know? 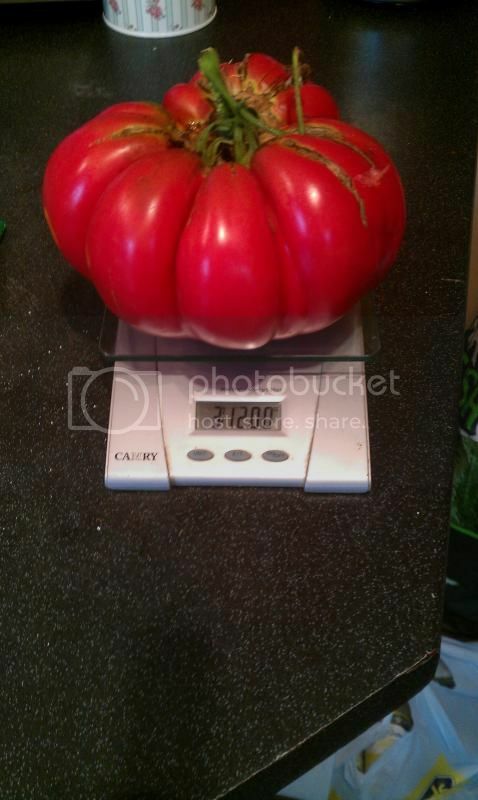 Nigel....I have save seeds from my tomato, though it didn't have much in it....there should be some spare for next year. Remind me after new year..
Will do Goodlife. Many thanks. Game on again! bring on next years! If at first you don't succeed, try and try again!! Woo Hoo Goodlife- what a monster!!! Slyfox-mal .. Whopping 1.701 kg....that's 3lb 12oz. !!!!!!!!!!!!!!!!! Wow, what a monster Well done Jeannine. No need to renew with Dan, he has opened up picture posting for everyone and you can post directly now. 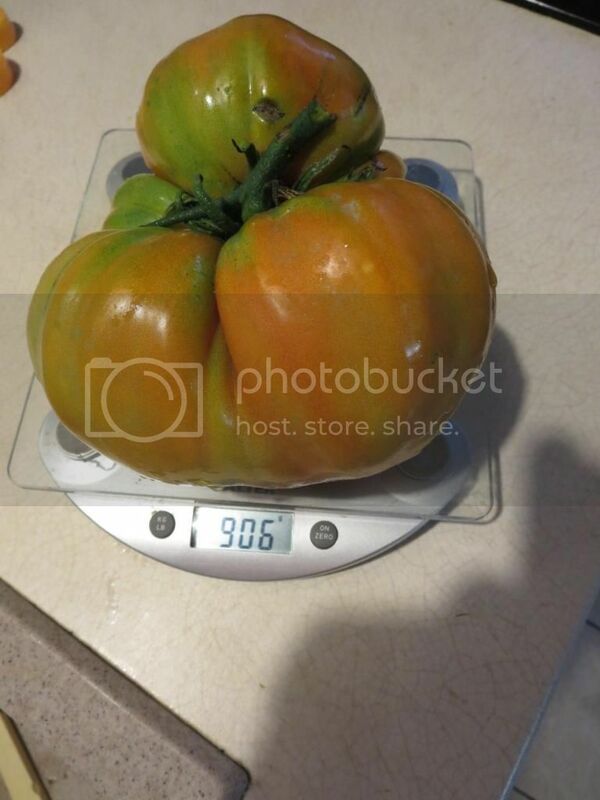 A beauty and bigger than anything I grew this year. What variety is it? Thank you! I have a feeling that this book might be a good 'trophy' to pass on to next year's winner....how about it?